The trees are peaking now. For real estate Spring is a busy time. I get sent places to shoot the blooms. It’s quite hectic. Simple stagging at a home in Malvern, PA.
Sun is setting, ready for night shots! Architecture for days. From last weeks shoot. Productive week in Philly. Beautiful row home (above) and high rise night shots. Crop from an image I took last night during a night photo shoot in Philly. It appears to me that the people on the lower floors arrive home first. Another great city shoot last month.Texture, art and plants. A roof top shot from last week that I really like. Sometimes something of historical signifigence passes in front my lens. Mercer tile was just that yesterday. 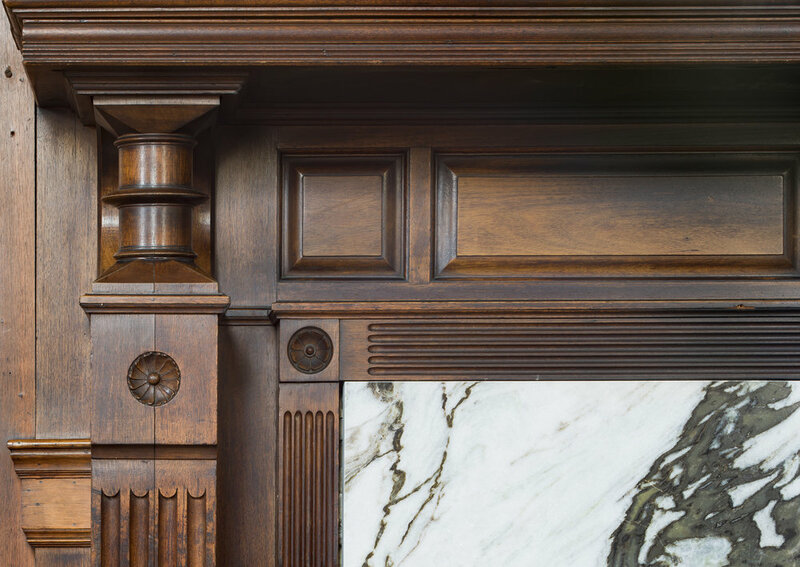 Mantle in Philadelphia that I shot today. Very exciting to see design like this. Three Winters ago, around this time of year, we visited Frank Lloyd Wrights buildings at Florida Southern University. The interior of the Anne Pfeiffer Chapel was a dream to shoot. I just came across this work while looking through some old folders and decided to finally publish it. Fresh! Designer shoot today downtown. The city was beaming with temps in the mid 60’s. Americana! In Old City this week. Many thanks to the owner for the hospitality and the great coffee. The lamp is an original bronze lamp from Rittenhouse Square. Just wow! Treat your wine right! I was in this home when it was gutted and was sent back to shoot it in all it’s new found glory.